2. Line a pan (with edges) with parchment paper. I usually cut my parchment paper to the exact size of the pan. The pan still gets plenty dirty, but the bark doesn't stick. 3. 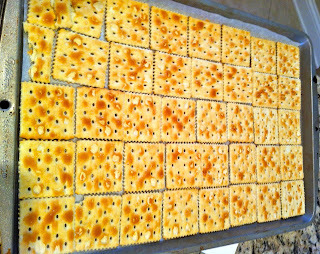 Line the pan with saltines. 4. In a small pot, melt the butter and brown sugar. Cook about 3-4 minutes over medium high heat until its all blended and melted together. 5. Pour the butter mixture over the saltines. Spread carefully if needed. 6. 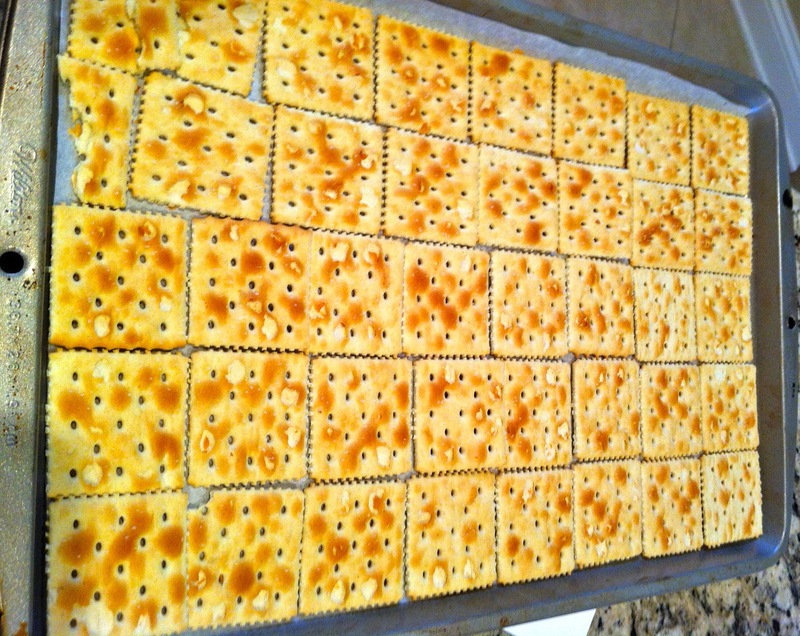 Cook the saltines for 15 minutes in the oven. 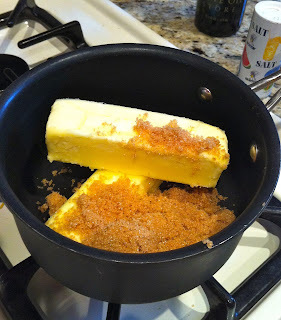 The butter/brown sugar mixture will be a little bubbly when you take it out of the oven. 7. Pour the chocolate chips over the saltines. As they melt, spread with a knife. (Don't worry they will melt from the heat of the bottom layer. 8. After you spread out all of the melted chocolate sprinkle with chopped pecans. Push them in lightly. 9. Put the whole pan into the fridge to cool until hardened. 10. Break apart into pieces and enjoy! Oh this recipe looks so good and I have pinned it to try and make some. 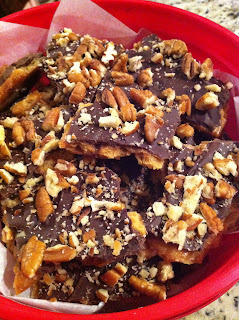 Easy to make and The combination of salty and sweet is making my mouth water as I type. Thanks for sharing. yum! this looks so good with the salty/sweet thing going on! my mom has made a somewhat similiar recipe for a toffee dessert. you pour the same mixture over graham crackers and top with just nuts (no chocolate0, but i think yours may be even better! and pecans on the salty crackers.